The USA Men’s Senior National Team will host the Serbian Men’s National Team in a four game series this June 4-8 in Northern California. Led by Head Coach Dejan Udovicic, Team USA will take on the reigning Olympic Bronze Medalists in Serbia on four different college campuses. The series starts on June 4 when the University of the Pacific plays host in Stockton, CA at 7pm. See the full schedule below. 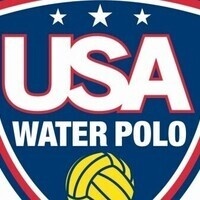 In addition to the competition, a USA Water Polo coach/referee school is set for June 6 and 7 in Berkeley. School registration will include presentations from Coach Udovicic, National Referee Director Jim Cullingham, Pacific Head Coach James Graham, UC-Davis Head Coach Dan Leyson, and a ticket to the match at Cal.